When it comes to ceiling paint colors, a basic flat white is always a safe bet. Are you going to try your hand at some interior painting? Arguably, the toughest spot to paint in any room is the ceiling. Most people struggle mightily when they try to tackle it on their own. 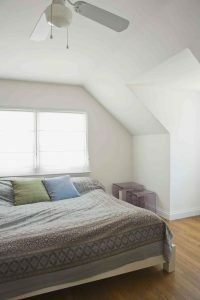 Here are a few tips so the next time you go to paint a ceiling, the process is a little easier! When it comes to ceiling paint colors, a basic flat white is always a safe bet. It can be paired with virtually any paint color and looks great. If you are the kind of person who wants to add some flair to your home, you should know that you are generally better off saving the bold accent colors for the walls. The most experienced interior painters in the world will tell you that you should always expect drips when it comes to painting. It does not matter if you are using the best paint rollers available, drips are virtually inevitable. With that being the case, you always need to be sure to lay out drop cloths to cover the ground underneath the ceiling you are painting. Also, if possible, you will want to try and move all furniture out of the room. It is important to always remember that painting is a process. To achieve high-quality results, you cannot rush. This is where many do-it-yourselfers go wrong when they go to paint their ceilings. You need to dedicate time to just painting the ceiling of a room. It can be challenging to keep track of the sections of a ceiling you have painted. Since this is the case, you are better off working in small sections at a time. Instead of taking the roller using long strokes, focus on painting a small grid at a time.